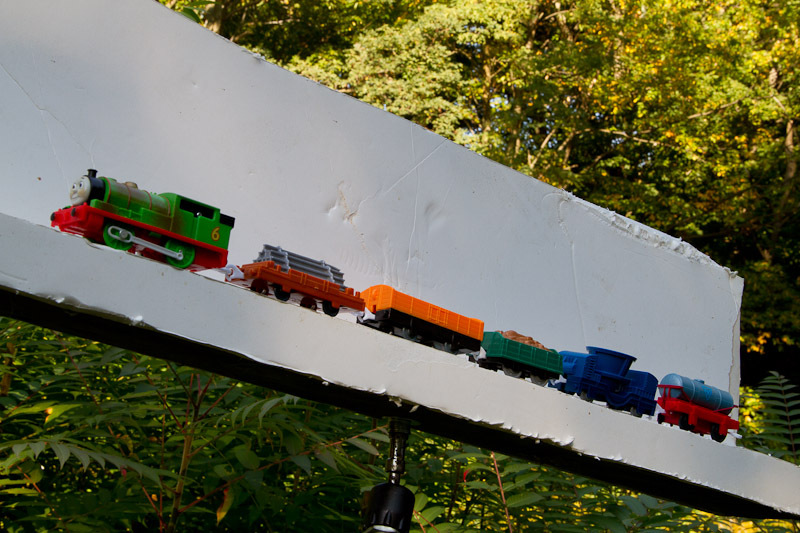 Toy train hot glued to a 2×4 that is covered with white foam core. The 2×4 is attached to a bogen magic arm which is attached to a light stand. The magic arm allows me to adjust the position of the 2×4 to better match the angle of the bridge. The train was cut out of the image in PS5 using the pen tool and refine edge function. 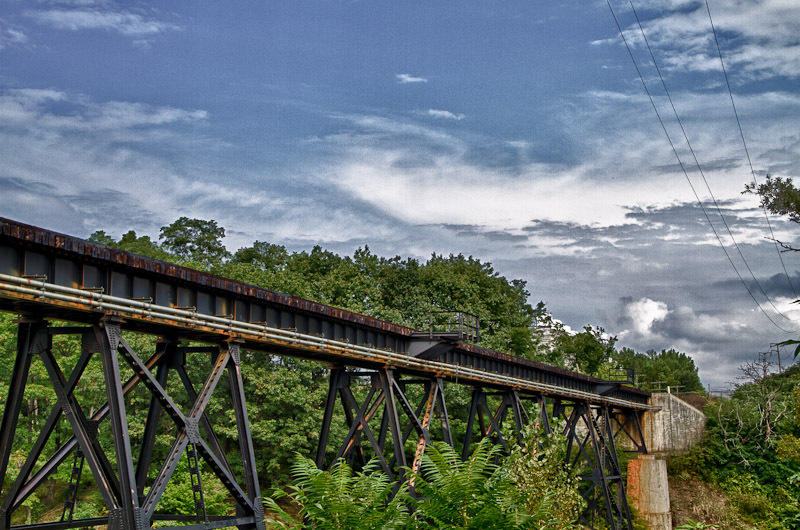 Rail bridge over Chautauqua Creek - Westfield N.Y. The bridge image was taken with a 18 – 135 mm zoom at 38mm. The wires were removed in Photoshop. The image was also taken into HDR software where there was a little work done to enhance the image. 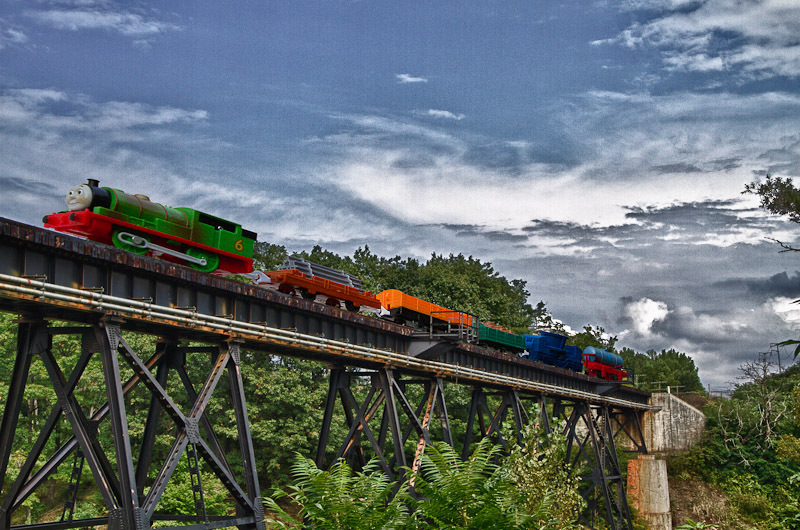 Toy train on bridge over Chautauqua Creek in Westfield N.Y. Final image. Composite of the two images. Categories : Chautauqua County N.Y., HDRI-High Dynamic Range Images, Location, nik software HDR efex, photoshop, Photoshop Composite, Small Product Photography, Westfield N.Y.